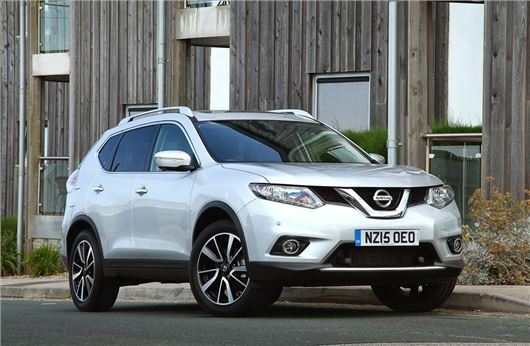 The Nissan X-Trail is now available with a petrol engine alongside the existing 1.6 dCi 130. The new 1.6 DIG-T engine is cheaper than the diesel and is priced at £21,995. Available to order now, the 1.6 DIG-T has 163PS and an impressive claimed fuel economy figure of 45.6mpg for Visia and Acenta models. The Tekna and n-tec versions are slightly thirstier with a figure of 44.mpg. The 1.6 DIG-T is already available in the Qashqai and will be a good choice for buyers who want the practicality and space of the X-Trail but aren't covering big mileages. Performance is decent with a 0-62mph time of 9.7 seconds, while the 240Nm of torque should prove useful. The petrol X-Trail comes as two-wheel drive only and gets a six-speed manual gearbox. Emissions are 145g/km or 149g/km if you opt for an n-tec or Tekna model. That puts it in VED band F - currently £145 a year.